Locals and visitors looking for a great summertime party will be flocking to Richmond’s Minoru Park this Labour Day weekend for two amazing days of arts, culture, and food happenings—plus a jam-packed menu of live music. 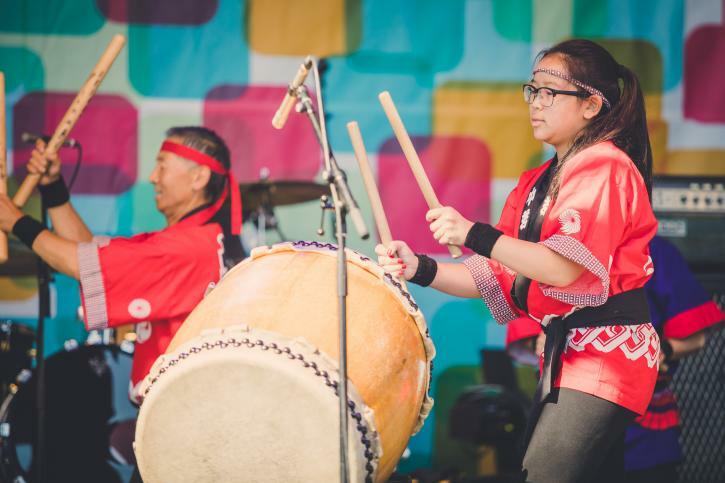 Running on August 31 and September 1 this year, the fourth annual Richmond World Festival is one of the region’s most popular, family-friendly outdoor events. And best of all: entry to the festival is entirely free. The 2018 Richmond World Festival takes place on August 31 & September 1. The live line-up for 2018’s Richmond World Festival includes a richly diverse array of local, Canadian and international musicians performing on nine stages around the park. Headlining the main stage on August 31, Lights is a JUNO award-winning alt-pop phenomenon whose original songs and emotional performances have seen her selling out concerts around the world. Taking over main stage headliner duties on September 1, Los Angeles-based Torontonians MAGIC! will deliver their catchy, reggae-fusion sound to audiences craving a good time. Lights will perform on August 31. But these internationally renowned acts are just part of the festival’s live music menu. 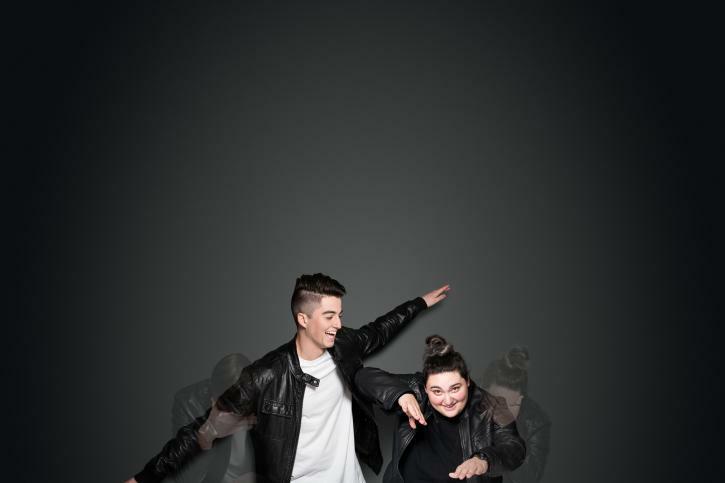 Desi Sub Culture bring their self-proclaimed “immigrant bass music” to the main stage on August 31, while September 1 sees up-and-coming Canadian duo Elijah Woods x Jamie Fine treating audiences to their boundary-busting pop. You might recognize them as the winners of the CTV show The Launch or have heard their current radio hit Ain’t Easy. Elijah Woods x Jamie Fine will perform on September 1. 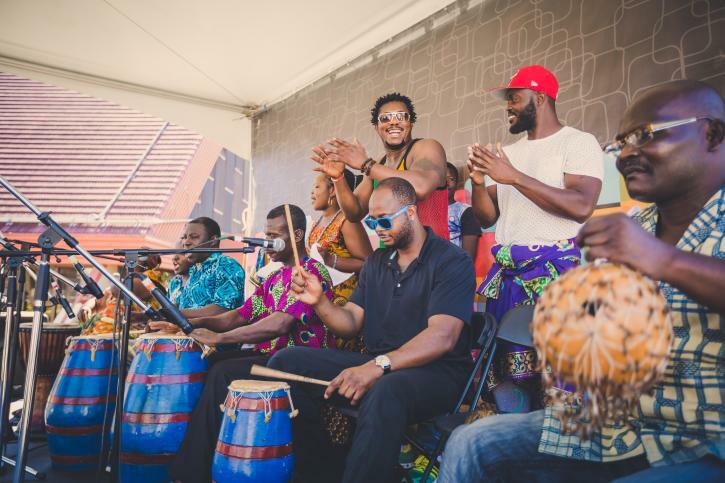 And that’s not all: throughout the weekend, there will be dozens of additional performers appearing on stages large and small, including musicians from Africa, Asia, Europe, North and South America, and the Caribbean and South Pacific. For a full rundown of this year’s World Festival performers, click here. It’s not all about music, though. Mirroring Richmond’s multicultural provenance, performances on the Global Village Stage will cover everything from international dance to spoken word poetry. 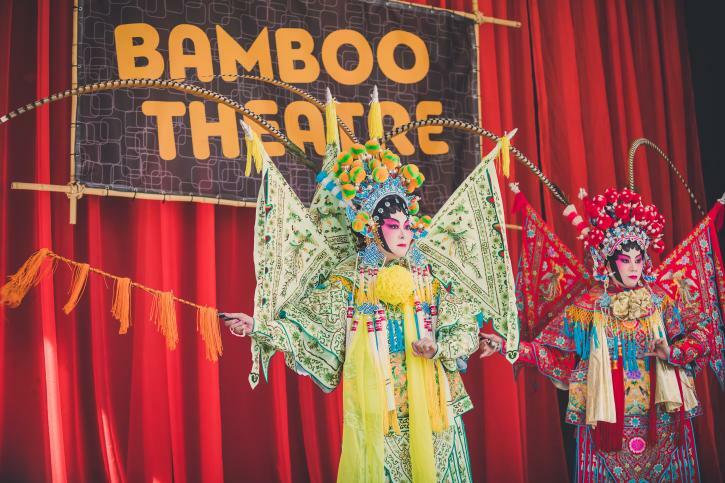 In addition, the site’s Bamboo Theatre will showcase artists and activities from the celebrated Vancouver Cantonese Opera Society. The Vancouver Cantonese Opera Society will perform at the Bamboo Theatre stage. Over in the Africa Zone, performers, activities and vendors will come together in one of the festival’s most popular retuning areas, while additional Cultural Pavilions will reflect other countries from around the world, with everything from national costumes to traditional dances on show. And don’t miss the unique Your Kontinent Digital Carnival, featuring a collaboration between interdisciplinary artist Terrance Houle and award-winning video artist Lisa Birke. If all that activity leaves you weak with hunger, you’re in luck: the Richmond World Festival’s edible side is much more than just an afterthought. 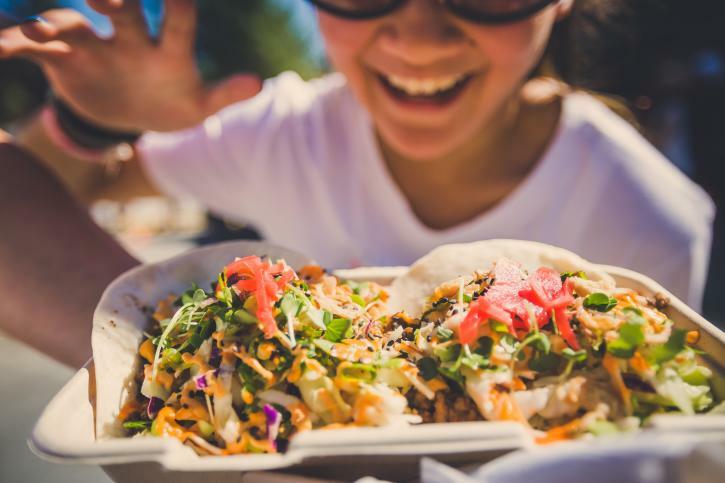 One of the region’s largest gatherings of local food trucks, the Feastival of Flavours is a belt-busting buffet of more than 50 vendors serving an international array of dishes. From burritos to waffles; cannoli to Jamaican patties; and Thai street eats to those ever-popular spiral fried potatoes, choosing exactly what to eat will be one of your biggest challenges here. The solution? Snack on some warm, fresh-made mini doughnuts while you make up your mind. Choose from over 50 food vendors at the Feastival of Flavours. And food trucks aren’t the festival’s only taste-tripping enticement. This year’s interactive Culinary Stage will be hosting top local chefs, each preparing dishes with a focus on fusion themes and locally-sourced ingredients. For visiting foodies, it’s likely to be one of the highlights of the weekend. Another popular returning feature this year is the Artisan Market, with rows of inviting stalls selling locally-handcrafted items alongside international imports: expect everything from unique jewelry to colourful cultural wear. 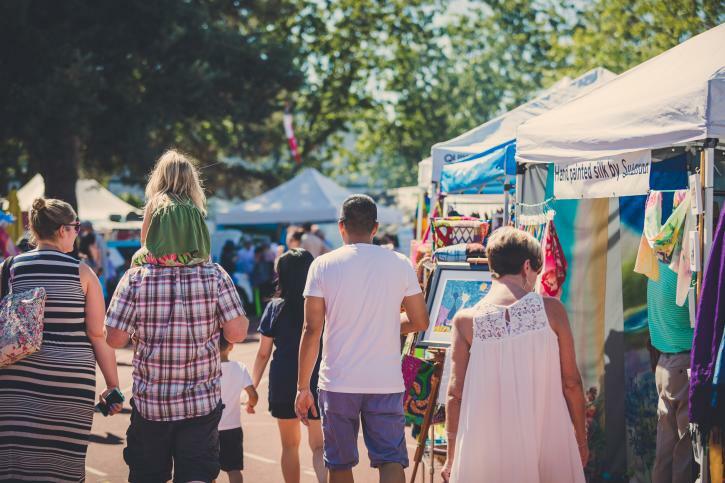 You’ll also find stalls showcasing Richmond’s wide array of community groups and friendly grassroots organizations—a great way to meet the locals. Don’t miss the Artisan Market at the Richmond World Festival. Alongside its cool cross-cultural focus, the festival has always been a great multi-generational event, with plenty of activities and experiences to keep kids as well as adults entertained. The festival’s Kids World area features lots of on-stage performers, ranging from Andy the Musical Scientist to expert juggler Yuki. Face-painting and balloon artists will also keep things lively for children, while everyone—no matter what your age—should look out for roving performers throughout the Minoru Park site. 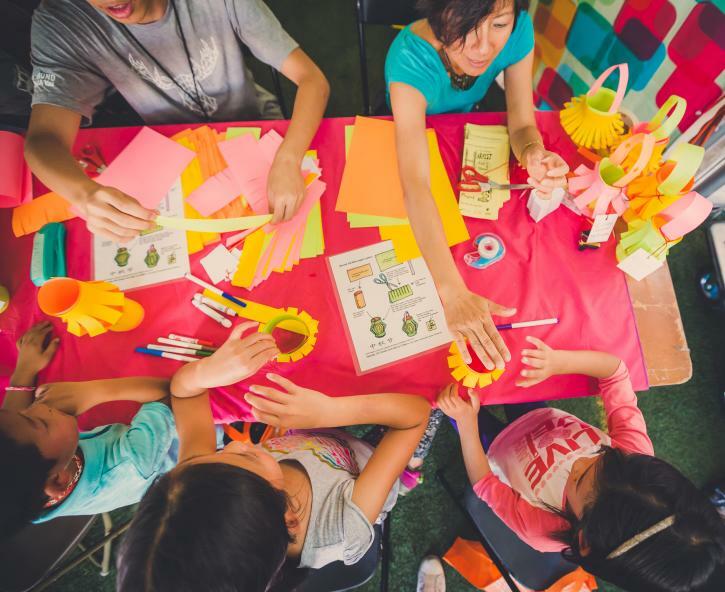 Participate in some hands-on creative fun at the Richmond World Festival. The free-entry Richmond World Festival is on Friday, August 31 from 4:00pm to 10:00pm and Saturday, September 1 from 11:00am to 10:00pm. All events and activities will be at Minoru Park and the adjoining Richmond Cultural Centre Plaza. The venue is a short walk from the Richmond Brighouse Canada Line Station and is also served by local bus routes including the 410, 407, 402 and more. There will be a free bike check service at the site. If you’re planning to drive, keep in mind that parking is limited. Enjoy a wide variety of live performances at the Richmond World Festival.